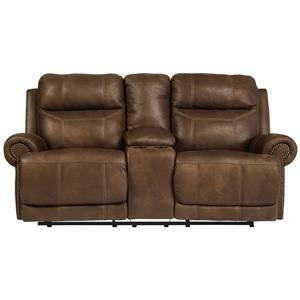 This reclining loveseat will provide comfort and convenience at an affordable price. It features a power headrest and power lay flat functions that are powered by a panel on the side of the arm for easy access. It also offers a center console with cup holders and center storage for even more convenience. This loveseat allows for maximum comfort with pillow top arms and a comfort coil seat that are sure to look great in your living room. 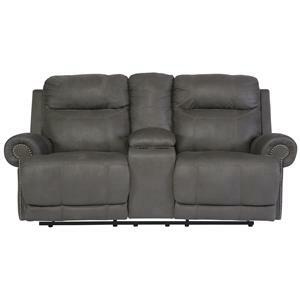 The Reclining Collection Reclining Loveseat With Power Headrest and Power Lay Flat by Catnapper at EFO Furniture Outlet in the Dunmore, Scranton, Wilkes-Barre, NEPA, Bloomsburg, Pennsylvania area. Product availability may vary. Contact us for the most current availability on this product. 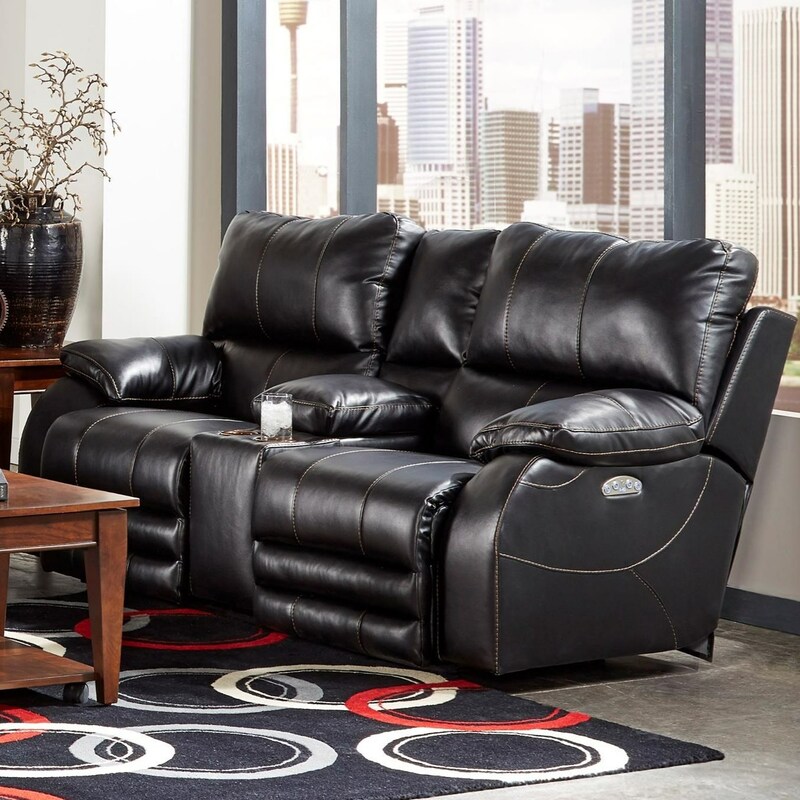 This reclining collection showcases a transitional style that is at the peak of comfort and convenience with power headrests, power lay flat technology, and pillow arms. Each seat is constructed with comfort coil seating that features Comfor-Gel technology that allows for ultimate relaxation. It is a great collection to complete your living room! The Reclining Collection collection is a great option if you are looking for Transitional furniture in the Dunmore, Scranton, Wilkes-Barre, NEPA, Bloomsburg, Pennsylvania area. Browse other items in the Reclining Collection collection from EFO Furniture Outlet in the Dunmore, Scranton, Wilkes-Barre, NEPA, Bloomsburg, Pennsylvania area.